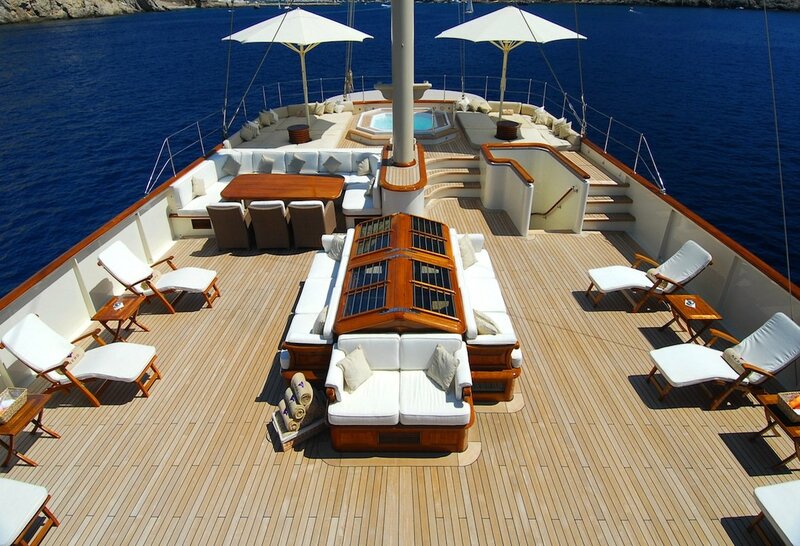 Truly one of a kind, NERO represents the pinnacle of luxury crewed charter experiences. 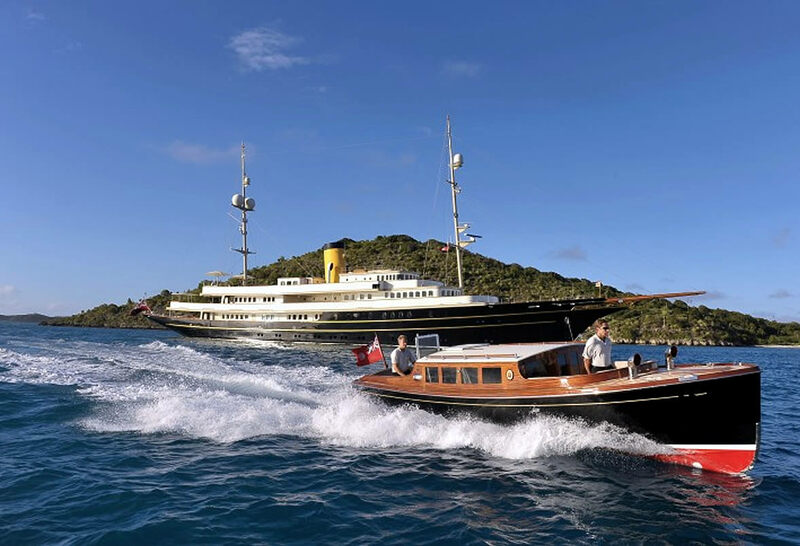 Commanding attention wherever she travels, NERO is a 90m replica of a classic turn of the century motor yacht, blending the elegance of yesteryear in her timberwork and embellishments, with all the comforts, high-tech equipment and toys of a modern superyacht. 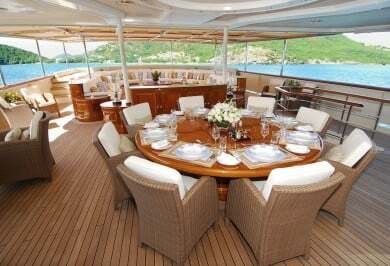 She is available for luxury charter in the Mediterranean summers and Caribbean winters. 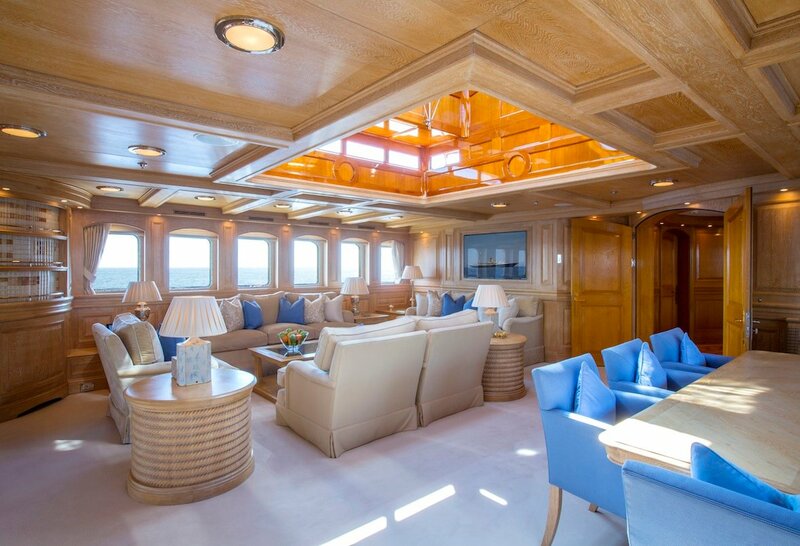 Built in 2008 by Corsair Yachts, motor yacht NERO took out the 2009 ShowBoats International Award in the category of Best Motor Yacht Over 75m. 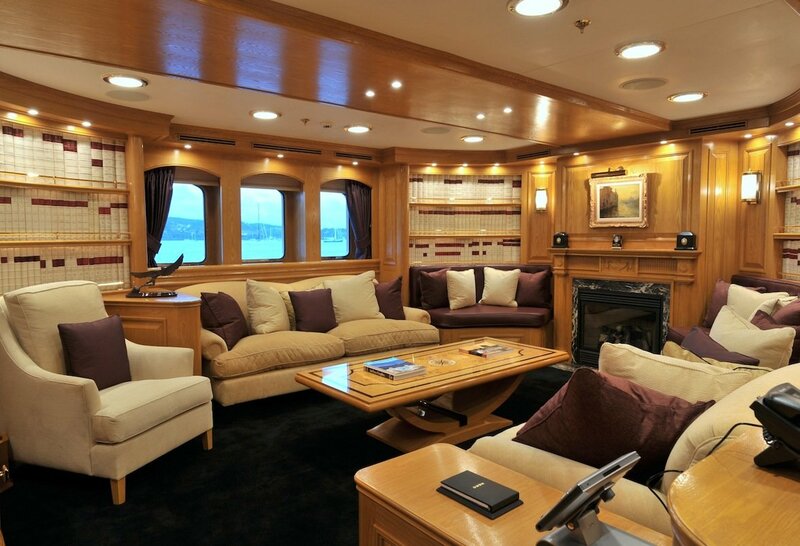 Luxurious in every detail, NERO can deliver an exceptional luxury crewed charter for small groups, or just as easily accommodate large numbers for impressive events. 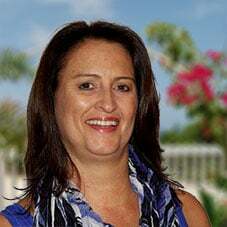 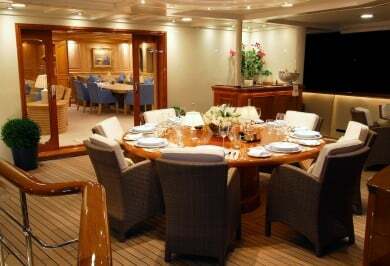 With her huge deck spaces, several options for dining on deck and within, she can cater to all occasions and every type of group. With a huge promenade deck and numerous entertaining areas, NERO is the premier charter yacht for those wanting to bask in the sumptuous atmosphere of a truly elegant vessel. 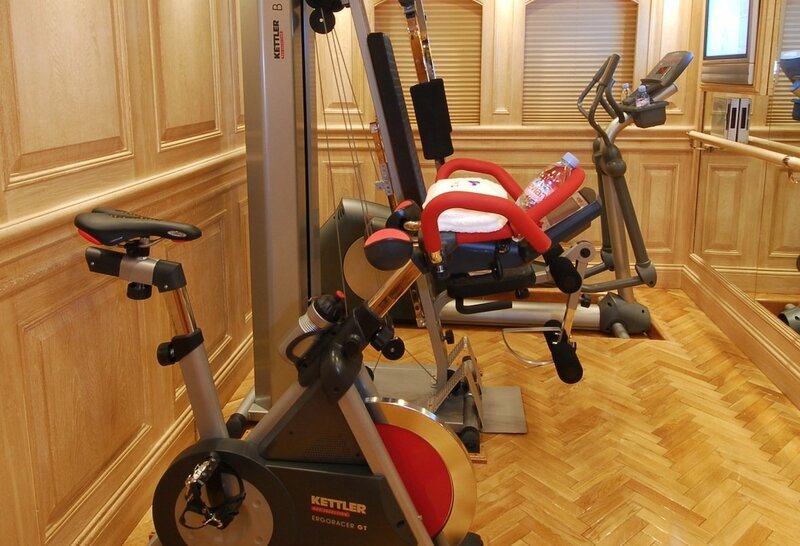 NERO will occupy and entertain even the most demanding guests. 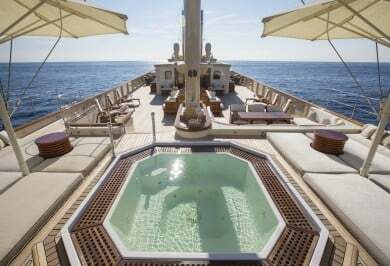 Along with a gym, beach club, barbecue and library, NERO has a generously-sized Jacuzzi and a pool, as well as al fresco dining and lounging spaces. 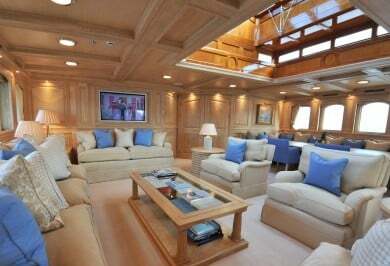 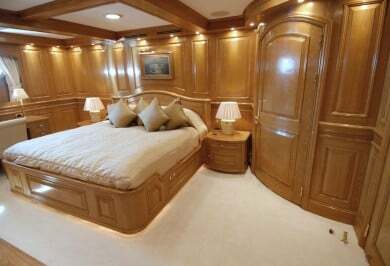 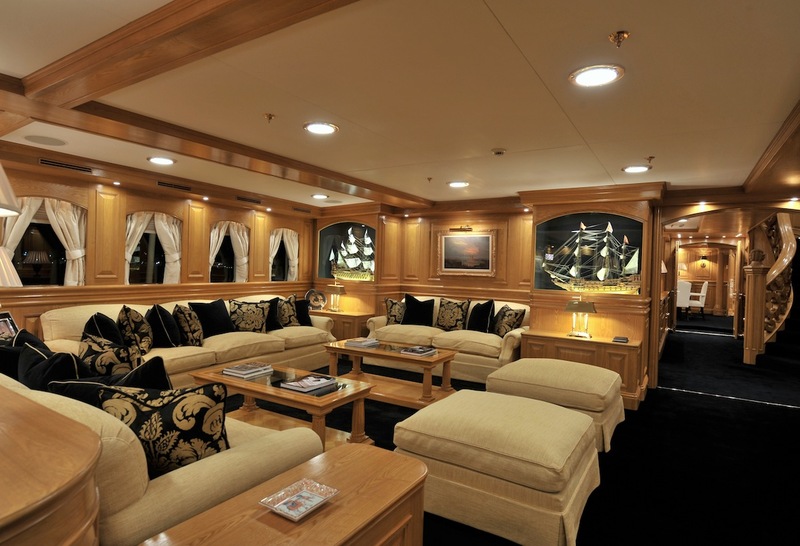 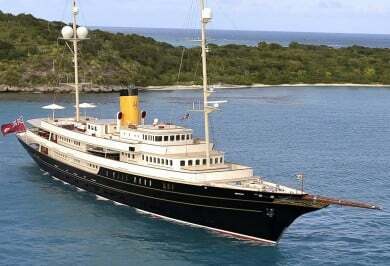 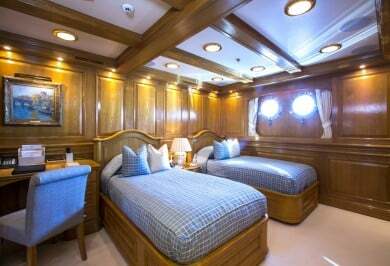 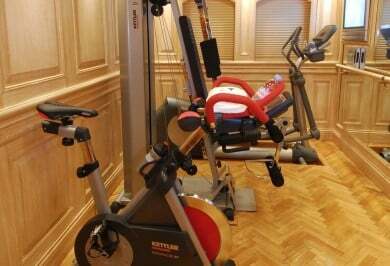 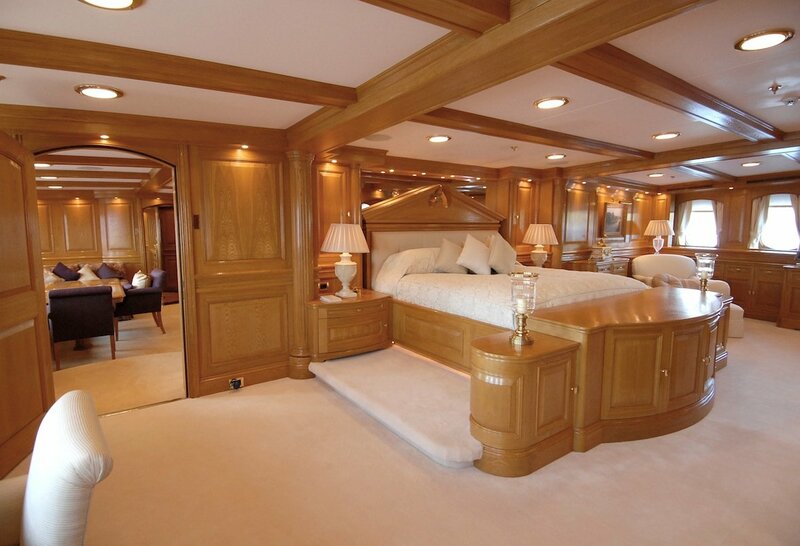 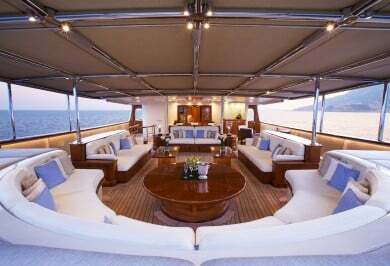 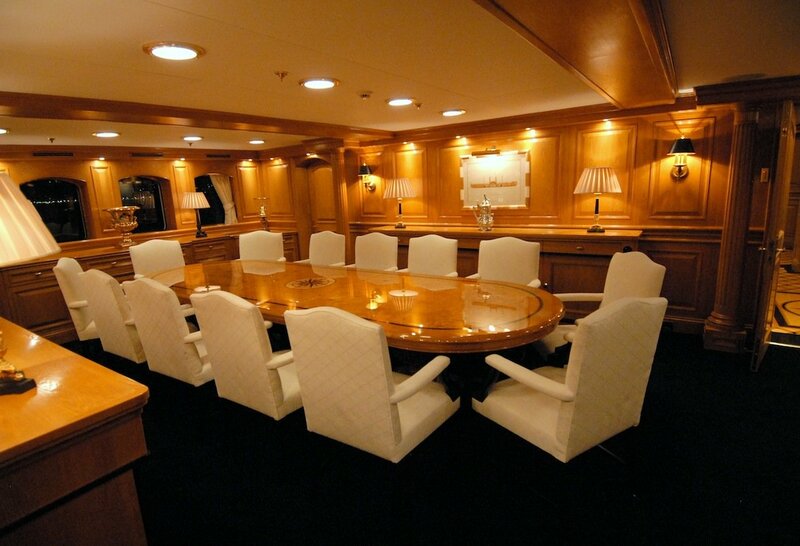 Below decks, NERO has six cabins which accommodate up to 12 charter guests. 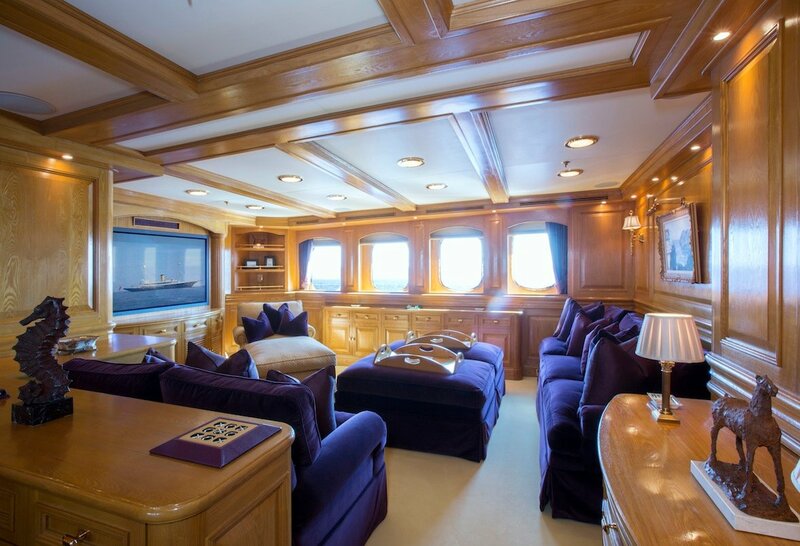 The magnificent master duplex apartment boasts private lounge and dining saloon, dressing room, his and her bathrooms and private access to an observation saloon/cinema and office. The other five luxurious staterooms have dressing rooms and large bathrooms for the ultimate in comfort and privacy. 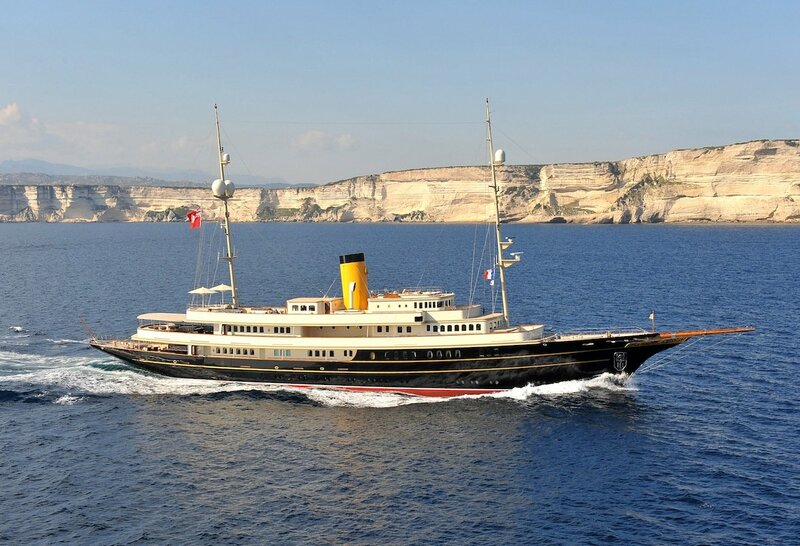 NERO'S 'snug' is one of the many highlights onboard. 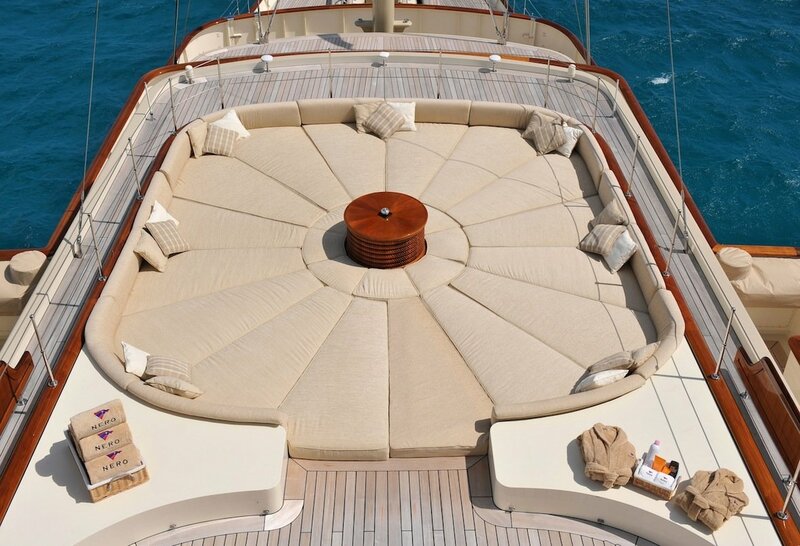 Located on the sundeck, this cosy area is the ideal place to escape from the heat of the midday sun or host an intimate dinner. Her 5.4m side boarding platform provides access to her array of water toys or tender, or from which to leap in to the deep! 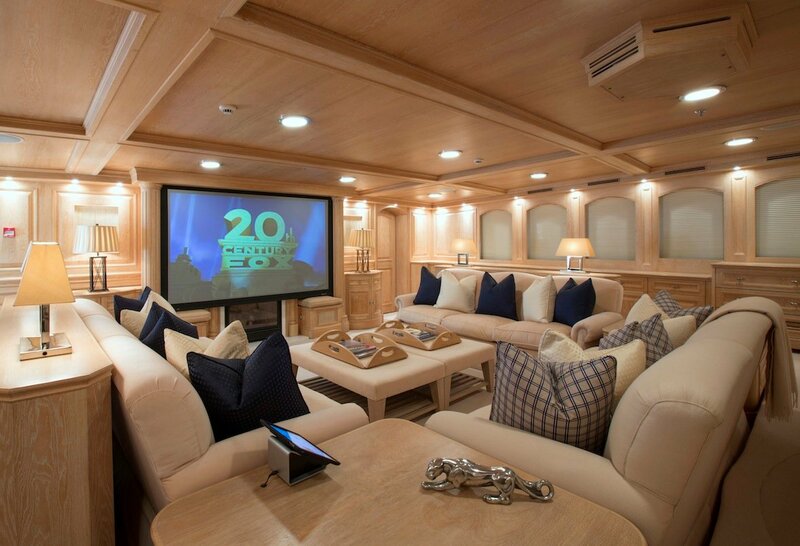 For onboard entertainment, NERO has state-of-the-art AV systems, a cinema room with Dolby digital sound, outdoor cinema on rear deck, satellite TV, iPod docking stations, Satcom and cellular communications facilities, Wi-Fi internet access and superfast broadband by arrangement for those who want to stay in touch on charter. For charter guests who are water sports enthusiasts, NERO comes complete with a custom-built 9.5m Corsair classic tender, 8.5m custom Aquaflyte RIB tender, 5.2m custom Nautica RIB tender, two Sea-Doo waveriders, two Yamaha Performance waverider, a Yamaha Superjet Performance jetski, SeaBobs, kayaks, and an assortment of water toys and snorkelling gear. 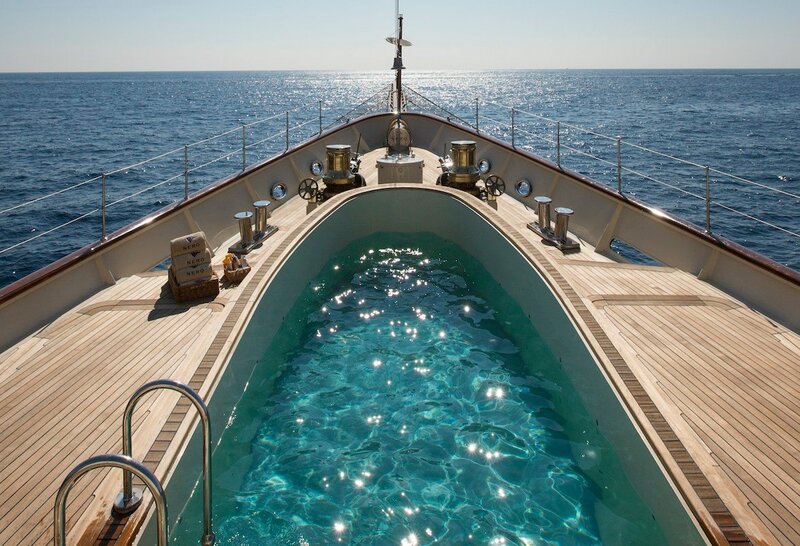 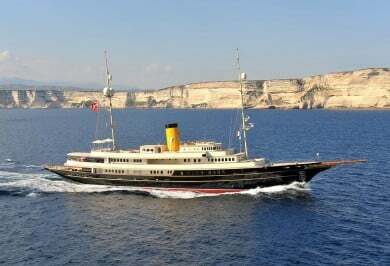 NERO is capable of carrying up to 20 crew on board to ensure the most relaxing luxury charter experience.